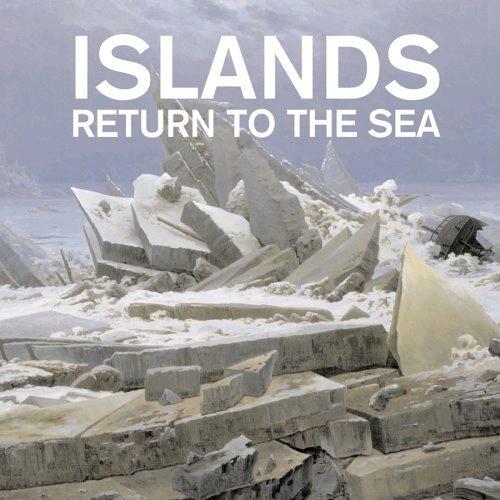 Return to the Sea – the debut album from Montreal band Islands – still receives heavy rotation on the stereo over at IPTOR HQ. So it delights and excites me no end to announce that Islands return with their sophomore release Arm’s Way, via Rough Trade Records on April 18th. Rising from the ashes of 3 piece indie band The Unicorns, Messrs Thorburn and Thompson reconvened to release one of the finest avant-pop records of 2006. However, history repeated itself once more, and Jamie Thompson announced his departure from the band later that same year. So it’s left to Nicholas ‘Nick Diamonds’ Thorburn to return under the Islands moniker, with a host of new faces in tow. You can have a sneak preview of new song The Arm, from the forthcoming album here. If you’re new to Islands have a listen to Swans, also contained on their myspace. Glorious leftfield pop, with more twists and turns than a Hitchcock thriller. The video below is for Rough Gem, also taken from their debut album. Convinced? Well you won’t have too long to wait to see them live. Forever Presents – the independent promoters that put on the incredible Explosions in the Sky gig last Saturday in Tripod – bring Islands to Dublin for a show in February, Monday the 18th in Whelan’s. See you down the front!